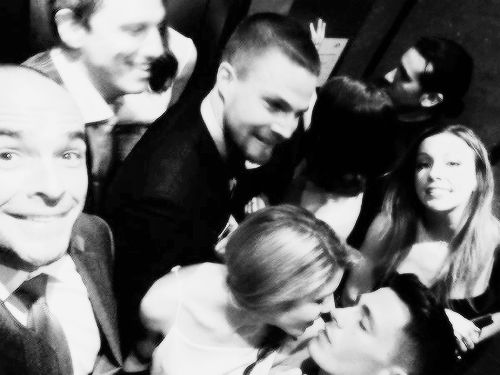 애로우 Cast at the 2014 CW Upfronts LOOK AT EMTON!!. 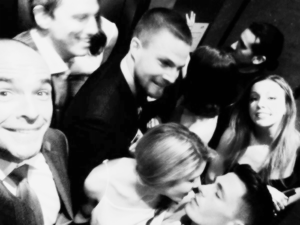 Look at Emily and Colton GAAAAAAAAAAH<3333. Wallpaper and background images in the Leyton Family<3 club tagged: photo cw arrow cast emton.